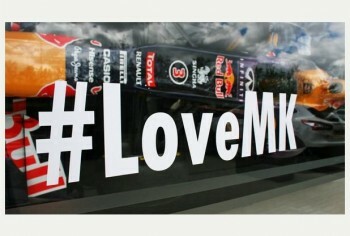 Today, 28th April 2016 all residents and businesses in Milton Keynes have been encouraged to join in and celebrate #LoveMK day. 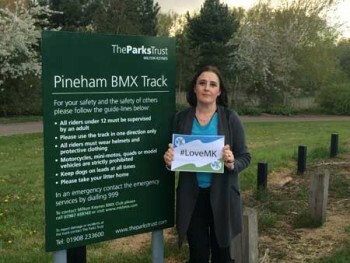 Knowing our guests visiting Milton Keynes whether for a business or a leisure trip have enjoyed their stay for all this city has to offer is reason enough for us to fully support #LoveMK day. 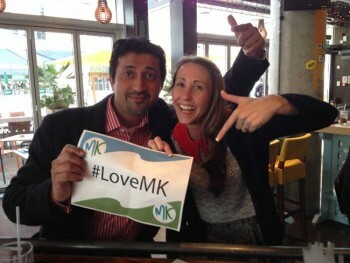 This is the fourth annual #LoveMK Day organised by the official tourism organistation for Milton Keynes, Destination Milton Keynes. The aim of the day is two-fold, namely to promote Milton Keynes as a leisure and business destination as well as to harness the pride that many people have in their city. With the upcoming Milton Keynes International Festival in July and Milton Keynes 50th Birthday celebrations in 2017, the pride is on show more than ever. Visitor economy is worth a lot to the area so by the community being encouraged to get involved in promoting their city, it has wider benefits for everyone. There are many reasons voiced as to why Milton Keynes is loved and enjoyed – whether it’s because of the stereotypical Concrete Cows, roundabouts and grid roads, the numerous parks or the lakes, or the wide variety of shops and entertainment amenities – Milton Keynes has it all! We are passionate about #LoveMK day because we want our guests to enjoy an all round great experience when they book into one of our serviced apartments. We continually strive to offer an outstanding level of service and have partnered with many other service providers in the city to ensure that a good experience is replicated where ever visitors venture. Milton Keynes is a vibrant place with an eclectic mix of old and new offering something for all ages, interests and needs. As part of #LoveMK day, employees and residents of Central Milton Keynes met for the first ‘Love Where You Live’ spring clean – challenging the litter issue is a big task, but one that we all know has to be tackled as ‘first impressions always count’ when it comes to visitors considering returning in the future. With the tree lined streets and many green spaces, we hope that their beauty is never distracted by foreign items of waste!